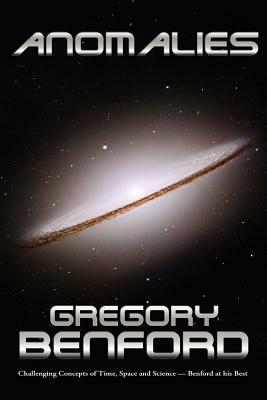 Science fiction collection of Gregory Benford's best short fiction. Ranging from comic to apocalyptic, the stories of Anomalies challenge concepts of time, space and science. And all the while, Author Gregory Benford's characters charm us. There's Claire, the hard-boiled, randy spacecraft hack - "Do I look like a people person?" - and her heroic efforts, all in the name of a fast buck in The Worm In the Well and its sequel, The Worm Turns. Or the puzzle of The Man Who Wasn't There - can we one day hope to elude detection by deflecting light around objects? Use science to escape society's justice? Can we find a way to stretch time out past a single life-line? Anomalies, the title story, asks a physics-shattering question: what happens if there is a computational error in reality? It's the sort of question that both tickles and challenges. Anomalies includes Afterwords and insights by Gregory Benford into his writing methods, sometimes quite idiosyncratic - and into the stories behind the stories in Anomalies.